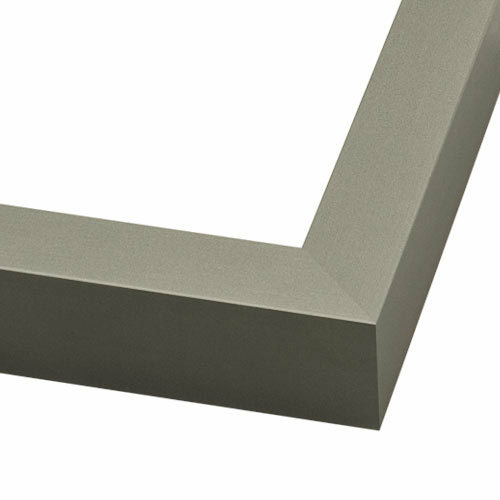 This gray metal picture frame will beautifully complement your art, canvas paintings, fine art prints, black and white photos or drawings. Its square, canvas friendly profile turns any art into a contemporary masterpiece. A striking choice as a family photo frame or wedding portrait picture frame. Customize your size to 83”! Do it your way. Every day. I was gifted with a beautiful watercolor from Venice. I pondered colors and decided on this beautiful gray. 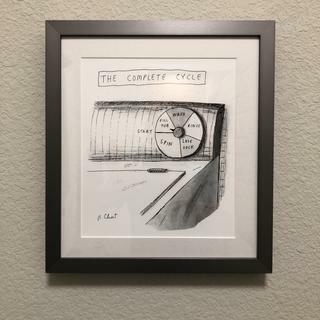 It took me a while to put together but it is a well made frame and is perfect for my need. Well worth the price and I highly recommend. beautiful frame and pretty easy to put together! I love the way that this frame looks. It really makes this artwork look good. It is solid and well built and I am very happy with it. I needed to replace a frame that did not work in my new home's decor. I was very happy with the quality of the frame and the ease of assembly. This was my first order; the customer service representative that answered my questions prior to ordering was very professional and responsive to my questions and concerns. I ordered samples prior to placing my order to fully evaluate color. I have retained the samples for future orders. This frame (and labor) would have been at least 2x at a local framing shop. I wasn't sure about this frame, because I usually buy wooden frames and some of the self-assembly metal frames on the market are low quality. But i was really pleasantly surprised with this one. It was true to color and actually looks really great with my print. Was a much darker gray than shows in their photos. It looks more like the dark area of their photo. Works well as a canvas frame. It is the usual good quality. Hello Brian. Thank you for that feedback regarding the color of the 711GRY Frame. If you are not working on a deadline, please order our free samples in the future. We try our best to provide imagery that will produce true colors of the moulding. If you have a need for a sample, please call us at 1-800-332-8884. Thank you for your feedback. Have a great day. Nice frame, but have to assemble it! Very nice frame, but for the price you should not have to put it together. I needed a frame for a canvas painting and with the depth, I thought this would be idea. I hope I will like it! good neutral metal color - not too "shiny"
How shiny is the frame? BEST ANSWER: It is not shiny, it is a matte finish and will show up as a dark gray unless there is a lit white wall opposite, Based on the corner photo of the frame, in my place it shows up like the dark forward side and is definitely not lighter gray like the top of the frame. Not shiny at all. Used on an original oil and it looks great. Not very shiny. More of a matte finish.